Sailing beating up to Faughan, reach over to Conniborrow and run back to Leonards Mark. A light breeze (F2/3). Todays racing concludes Series G. Congratulations to Aidan O D who wins the series. Ken and Davy L came in second. Kevin T was going very well in his Laser today and just pipped Anton H and Joy W for a podium finish. Racing today in Culmore bay x3 laps. A nice breeze (F3/4). Great battles between Aidan O D and Anton H (sailing in his Laser) with honours even. Kevin T also going well in his Laser. Congratulations to Ken and Peter L who own both races. A strong tide in Race 2 pushed a number of boats over the line. They went back and the flag was cleared by the OD. Great to see James J out in the club laser. And so begins the last series of the year. Aidan O D and Kevin T were both going very well in their Lasers. Sailing to Faughan and Conniborrow – a nice reaching course. Aidan O D came in first across the line in both races, nice sailing! Most boats opted to stay out of the tide, but Aidan O D managed to sail straight into the tide and come out on top! A long course down to Faughan and Conniborrow in a gentle breeze that fell away to very light by the end of the second race. The first race was close with first boat at 43.22 and last boat just over 50 minutes. The second race times tell the story of the dropping wind. First in at 51.09, last in at 71.32 and one DNF. Well done to James P H and Alan T who won the race overall. They were drawn on points with Aidan O D but were awarded the win by greater differential on times across the two races. The GP also had line honours in both races. There was also a draw with George Gilmour and Ciaran and Eva M. It was settled in the same way (combined time of races). Many thanks to Peter F and Liam H for OD and Rescue duties. Culmore Regatta 2018 also marked the Grand Opening of the new club house and new changing rooms. In his comments LFYC Commodore Bill Johnson thanked the Port Authority and the Loughs Agency for their support in development of the new facilities. The Commodore also specifically thanked Kevin Lynch and Peter Fallon who implemented the project on behalf of LFYC. Andrew Sides for the Loughs Agency said that he sees the club as an important part of a continuing Maritime story in Lough Foyle. 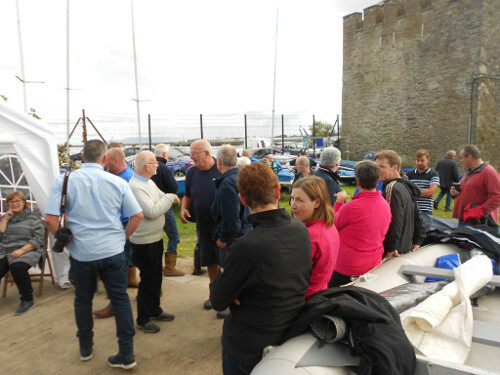 He said he was particularly pleased to hear about younger members from LFYC making their lives on the sea, in the Port, in yacht architecture, in environmental conservation projects, in shipping and engineering and at the highest levels in dinghy racing. Capt Bill McCann for the Port Authority said that he looks forward to LFYC continuing its efforts in racing and in introducing young and novice sailors to the great experience of sailing. Great to see Josh P from Newtonards sailing with Owen McC in the Dinghy races. Congratulations to James P H and Alan T who own the Frank Long cup and to the Gallagher brothers who won Magnet Bar cup. great to see Kevin and Caoimhe L out sailing also. The weather was fine with sunshine and a steady F2/3 breeze. Many thanks to the OD (Big Pete) and the assistant OD (Sean McC). Many thanks to Joan D and George C who stepped down from duties this year after many excellent years in the role. Thanks also to the Liam H and George D on rescue cover. Thanks to all who helped out with the hospitality. The marquee this year was located on the new concrete surface and worked very well. 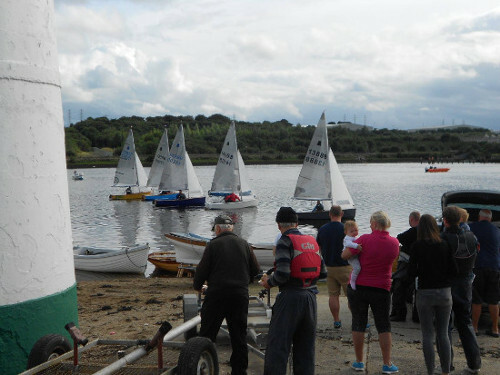 As usual, perhaps most importantly the Culmore regatta was a fantastic social occasion with great conversations and hospitality made seamless and easy by volunteers who were not sailing. Posted in Uncategorized | Comments Off on Foyle Festival Cup 2018. 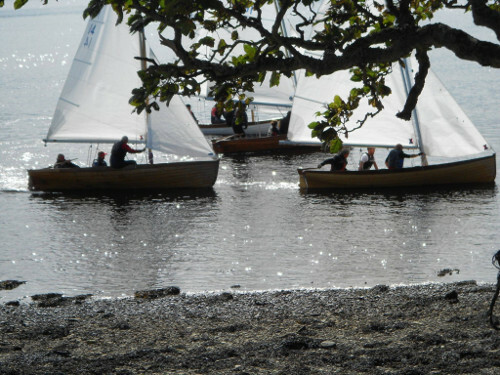 The races will particularly suit single hand class boats but all boat classes are welcome. Racing will start each day at 11.00 with intentions to run three races per day. Where possible the course will feature short distance laps. There will be five race days in the Frostbite series. The schedule can be seen here. Coffee and biscuits after the racing in the clubhouse. 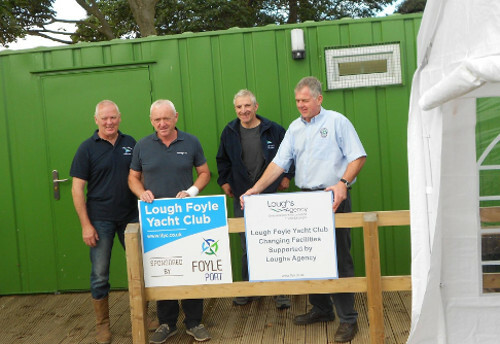 You are currently browsing the Lough Foyle Yacht Club weblog archives for October, 2018.